Many people who turn to logbook loans consider them the option of last resort after other applications are declined by conventional banks. However, logbook loans are only a short-term solution to your financial problems. Within a couple of years, you might require a bigger loan to finance other projects such as real estate operations or even business. Therefore, the faster you get through with the logbook loan, the better. 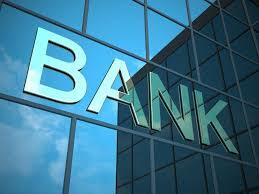 More importantly, you need to start building trust with the bank so that they consider you a less risky party. Here are some useful tips on winning trust from banks. Though the bank is not willing to lend you at the moment because of the risk involved, it does not want to lose you as a client. After improving your credit score and building multiple streams of revenue, the bank will easily resume lending you compared to a new client. However, it is imperative to ensure that the account is active to demonstrate you can sustain loan repayments. 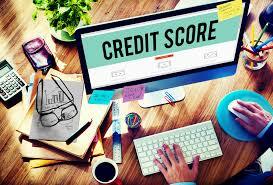 Check and correct any error in the personal credit report by three credit reference agencies. Ensure to meet your credit obligations especially regular bills on time. Every lending institution wants to see a workable plan that borrowers are using to move on to the next step. As you continue repaying the logbook loan, having a long-term financial plan is very important. Depending on the amount of revenue streaming into your account it will be easy to convince banks you are a reliable borrower and do not present any risk. For example, you can include multiple sources of revenue such as a home baking business, salary, and stock market trading to help clear any loan faster. As you apply for the logbook loan, it is important to ponder what exactly resulted in the current precarious situation. Whether it was an emergency or piling bills, the experience should help you emerge wiser. One way of preventing recurrence of such situations is serious austerity measures. For example, you could consider buying a smaller car with better fuel economy or even ride to work every day. Then, some of the freed money can be used to repay the loans and build an emergency fund. Even if a bank is not willing to lend you cash because of poor credit score, good collateral will easily make them reconsider the application. In many cases, banks will consider your loan application for borrowers using home equity or their vehicles. The collateral is a demonstration that you take the loan very serious and can go to great length to prevent the asset from getting auctioned to recover unpaid debts. However, you must be extra careful when attaching your home equity to the loan because it can be sold by the lender if you default. While taking a logbook loan is considered the lowest moment that a person can sink to because of the risks such as high APR, it is paramount to start rebuilding trust from the current financial institutions. By looking at the situation from a long-term perspective, it will be easy to make banks and other financial institutions your partner because their credit is flexible and attracts lower interest rates.